The best garden comes from the best soil. Here’s how to work on building soil for better crop yield and healthier plants in your vegetable garden. Let’s be clear about this: If your soil is junk, your organic garden is going to struggle. Years ago we ordered a truckload of “garden soil” to fill brand new garden beds. What arrived was a pitiful pile of dirt and rocks. We struggled that first year, trying to get anything to grow. Within a few years, though, the garden was thriving thanks to a lot of work to improve the soil. Fifteen years later, I’m again struggling with puny soil — but I know what to do to fix it! Good garden soil is the key to successful growing, but whenever I ask someone about how to make the best organic soil or start doing any research, my eyes glaze over with all of the details. Some people love the details (N.P.K.! Ph! Acidity!) but not me. It’s too overwhelming. I know I need good organic soil, but I don’t want to spend tons of time getting there. I’m not a scientist; I just want to dig in the dirt. Good dirt. In previous gardens, I’ve had good luck improving my garden soil without testing. I’m not anti-testing; I just don’t think it’s always as necessary as some soil experts would have you believe. If you’ve got a serious problem, soil testing can help you pinpoint it, but poor soil can often be fixed without a PhD. In my new garden space, the soil is puny. It doesn’t hold moisture at all; the water just drains right on past the plant’s roots, and probably waves as it goes by. There don’t seem to be a lot of nutrients, because the things I’ve planted are just failing to thrive. They’re not dying, but they’re not doing well, either. 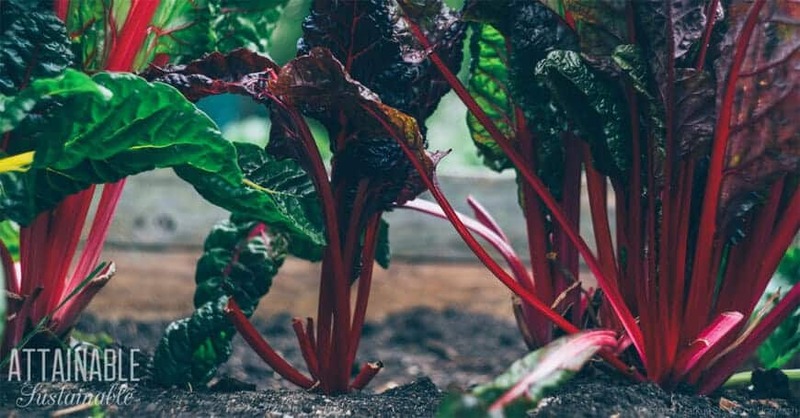 Adding compost and rotted manure boosts the nutrient content of your garden soil and improves its ability to maintain a nice moisture balance in your organic garden. Using mulch helps to retain moisture, hold weeds at bay, and as it decomposes, it adds nutrients, making for the best soil you can grow a garden in. Keep small livestock. 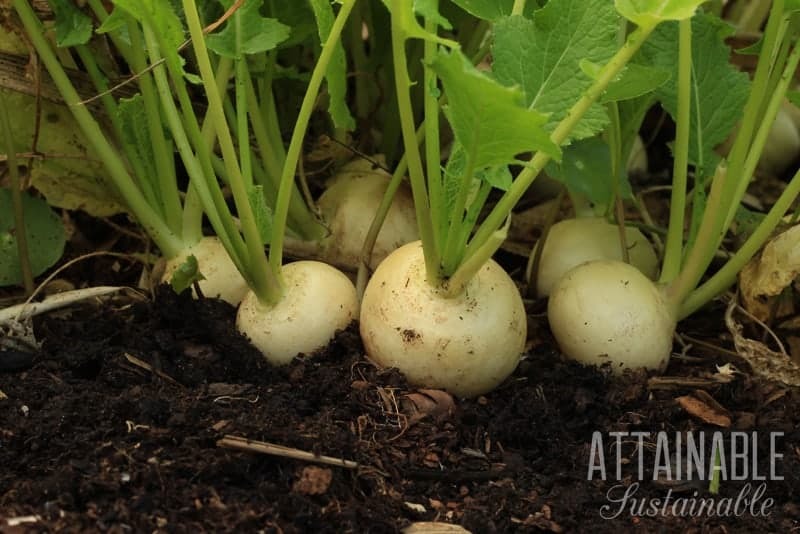 Rabbit manure makes great fertilizer that can go directly on the garden. Chickens, goats, sheep, and cows (okay, so they’re big) make great poop, too, though you’ll need to let it sit for several months to mellow. Turn your kitchen scraps and yard waste into compost. Invest in a lawn mower bag so you can capture the green clippings. 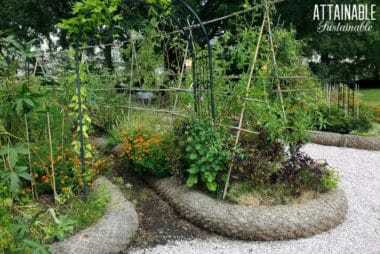 They’re great mulch for veggie gardens. If you don’t have room for a large compost pile, not to worry. Even apartment dwellers can use the vermicomposting method to transform kitchen waste into a gorgeous soil amendment. 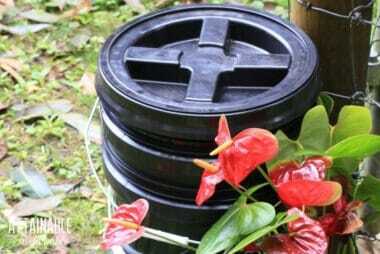 Here’s how I made a worm composter for less than five bucks. It’s easy, and I promise — it doesn’t stink! The castings are great for improving organic soil. You can use the compost, castings, and rotted manure as top or side dressings right alongside your vegetable plants in your organic garden. The mulch can be applied four to six inches deep all around the base of each plant. A savvy nursery person I know suggests that even llama manure is good stuff, but I suspect that may be a little harder to come by. Dairies and boarding stables are your best bet for finding an endless supply of manure, but consider smaller scale operations, too. For example, a 4-Her who is raising rabbits but doesn’t have a garden might be willing to trade poop now for tomatoes from your organic garden later. Most landscape material companies will sell you a truckload of bulk compost so you can eliminate the plastic bags. Here’s something to know about if you’re purchasing manure and compost, either in bulk or bags: Manufactured compost and products labeled as manure might contain biosolids. 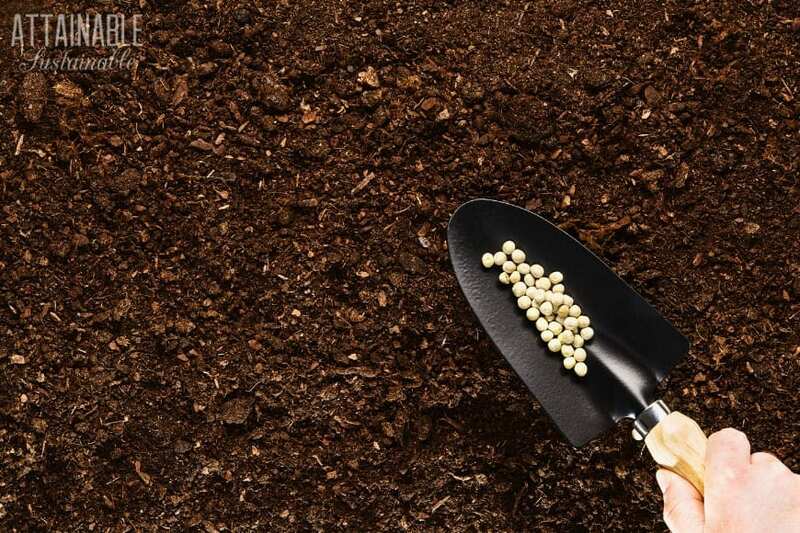 Made from sludge leftover from industrial waste water or sewage treatment plants, many biosolids are approved by the EPA for use on agricultural crops. Now, I don’t know about you, but I’m not very comfortable with the thought of spreading biosolids from an entire town on my organic garden in my efforts to build soil. I have no way of knowing what each of those, um, contributors added to the collection. Medications, harsh cleaners, poisons? While the EPA insists that biosolids are completely safe (and nutrient rich!) as long as they pass certain safety tests, there are plenty of other studies that say otherwise. Many pharmaceuticals and personal care products (PPCPs) are commonly found in biosolids and effluents from wastewater treatment plants. 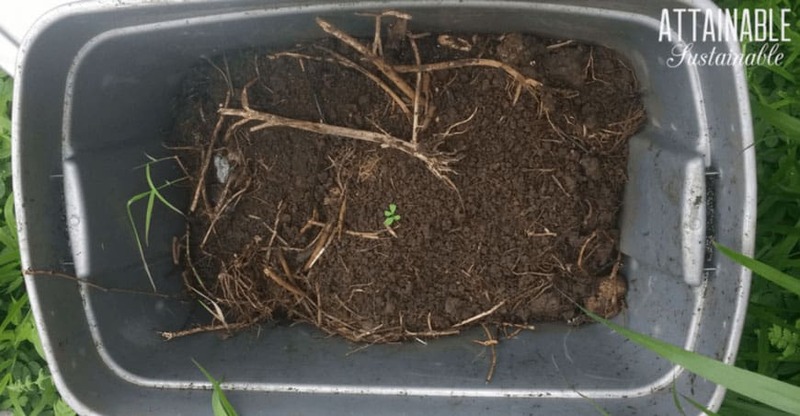 Land application of these biosolids and the reclamation of treated wastewater can transfer those PPCPs into the terrestrial and aquatic environments, giving rise to potential accumulation in plants. Earthworms studied in agricultural fields where manure and biosolids were applied have been found to contain organic chemicals from household products and manure. Earthworms continuously ingest soils and may accumulate any soil contaminants into their bodies. The chemicals detected included the active ingredients commonly found in a variety of household products—including the disinfectant found in antibacterial soaps, fragrances used in perfumes and detergents, and pharmaceuticals. I think I’ll avoid biosolids, thanks. Manure products that are labeled 100% steer manure or 100% chicken manure. If it’s not 100%, what else is in there? Compost that lists the ingredients. If you see the word “biosolids” you can cross it off your list, but what about those “inert ingredients?” I’d be a little leery of a product that promises to be “enhanced,” too. Find a trustworthy product and stick with it. I buy Fox Farms products when I can’t find manure or compost in bulk, and they assure me that they do not use biosolids in their products. Using a mix of peat, lime, coarse sand or perlite, fertilizer, compost and soil, the folks over at Grow a Good Life show us how to make soil blocks. 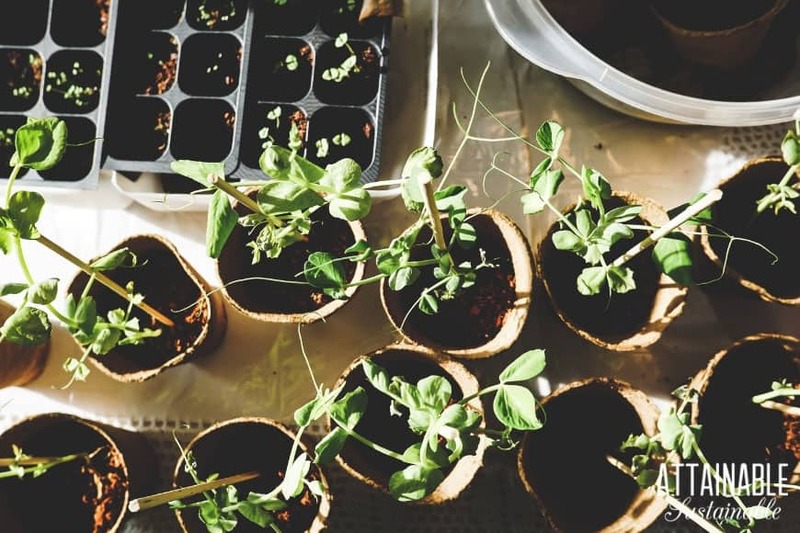 Planting seeds into soil blocks eliminates the need to remove seedlings from pots as you plant them; the seedling and soil block can be popped right into your garden. No root stress! If you use wood mulch in your garden, you might want to rethink that. Quinn over at Reformation Acres is generating a little bit of controversy with her suggestion that using that free wood chip mulch in your garden might not be such a good idea. She points to the fact that it can increase fungal dominance in your garden and mess with soil acidity. Interesting stuff! But if you’re not using wood mulch, what can you use for building soil, you ask? Head on over to Family Food Garden to see how they are using grass mulch to hold in soil moisture and help combat weeds. Want to learn more about building good organic soil? 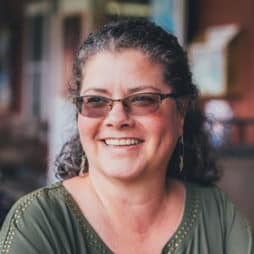 Susan Vinskofski is a Master Gardener in Pennsylvania County and has been gardening for much of her life. She’s what you’d call savvy about gardening, and she’s passionate about doing it from the ground up. Er, the soil up. Her recently released ebook, The Art of Gardening: Building Your Soil, is a thorough discourse on building soil that will help your garden thrive. The best soil = the best garden. Really. The soil matters. Susan shares specifics about soil improvement and methods for building soil in interesting, easy to follow detail. You’ll learn about sheet mulching, compost, and why rototilling isn’t recommended. But the book doesn’t stop at soil improvement. The author also covers seeds and how to successfully germinate them, choosing your garden site, and staking/trellising. The final chapter is an alphabetical guide to garden plants (complete with some recipes for cooking up your harvest). I had the opportunity to read Susan’s book before she released it. It’s simply gorgeous; the artwork by Deb Hamby is a treat for the eyes (completely frame-worthy, in my opinion) and a great accompaniment to Susan’s informative, easy to read text. 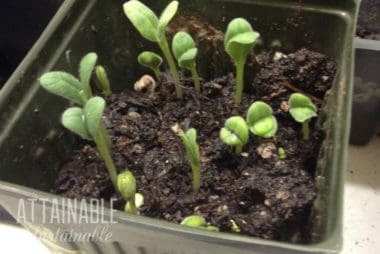 This is a great resource for novice gardeners looking to build organic soil, and even those of us who have been at it for awhile — I learned a thing or two! Want to know more about Susan’s book and how to build good soil? Head on over to her site to see more about the contents and to download some sample pages.